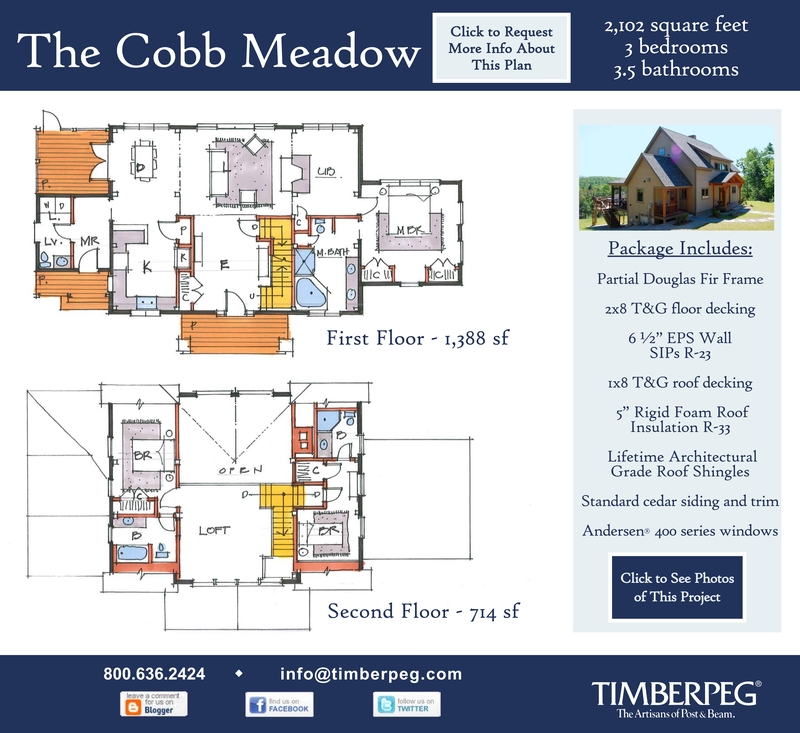 With more than 2100 square feet, 3 bedrooms and 3.5 baths, The Timberpeg Cobb Meadow is perfect for a first or second home. This design includes the following features: Partial Douglas Fir Frame, 2×8 T&G floor decking, 6 ½” EPS Wall SIPs R-23, 1×8 T&G roof decking, 5” Rigid Foam Roof Insulation R-33, Lifetime Grade Roof Shingles and standard cedar siding and trim along with Andersen ® 400 series windows. Contact us today for more information about this amazing green home. Connect with us by phone 603 – 303 7206 or use the contact form below to discuss pricing and how we can help you build this home.